The LogiSon® Acoustic Network consumes very little energy: typically less than a light bulb for a sound masking area of 13,500 ft2. In most regions, a Class 2 power supply must be used with a sound masking system or the cable carrying power requires conduit. Several Class 2 models are available for use with the LogiSon Acoustic Network. 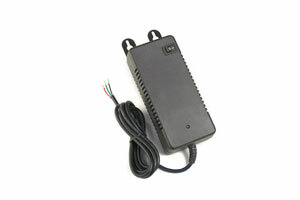 The PS-3 model is an AC/DC switching mode power supply that is used throughout most LogiSon Acoustic Network installations. It is UL Energy Efficiency Certified.